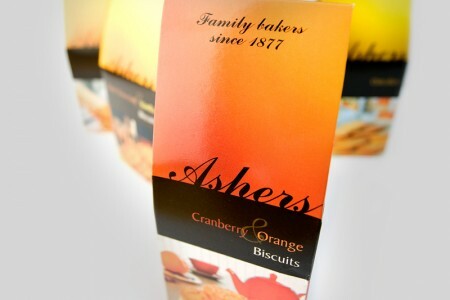 It was over 15 years ago, that Ashers invited us to design a tin for them for there whisky cakes. We wanted to do something slightly unusual but at the same time still retain a quality product. 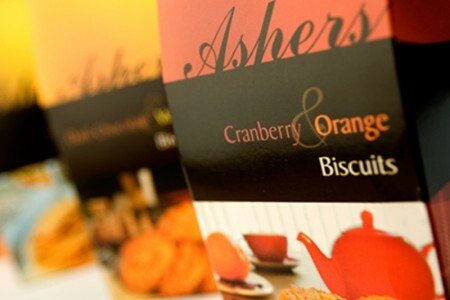 The tins have been a huge success for Ashers who went on to win many food awards for there Whisky Cakes and there still looking as good today as they did when we first designed them. 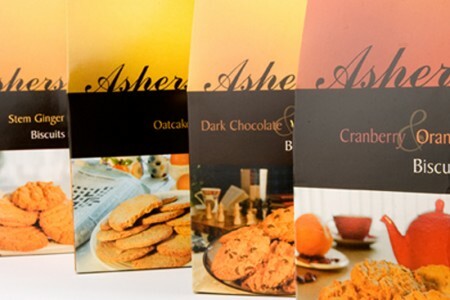 The biscuit packages (also 15 years old) were quite cutting edge at the time too and were a great seller. We like showcasing them, as we were proud of them at the time and we still are.